Today, I will introduce a nice brand to you all. Page & Tuttle will surprise you. First of all, let’s see two polo. Page & Tuttle Women’s Heather Princess Seam Short Sleeve Polo is made of 100% polyester heather moisture-wicking jersey with anti-bacterial finish. So it is so durable. It features hemmed sleeves,4-button placket, dyed-to-match buttons. There is princess seams for a feminine fit. Page & Tuttle logo transfer on right sleeve,and machine wash and dry make it very pleasing to the eye,soft and healthy. Page & Tuttle Men’s Heather Seam Detail Short Sleeve Polo is just for men.It is 4.6 oz, and made of 100% polyester heather moisture-wicking jersey with anti-bacterial finish. It is UPF 30+. It features self collar, hemmed sleeves,3-button placket, dyed-to-match buttons. You will like the seam details on shoulder, back and front, clean finish hem. Page & Tuttle logo transfer on right sleeve,and machine wash and dry make it very pleasing to the eye.You can choose among the six colors. If you like the windshirts, you can also choose this brand. 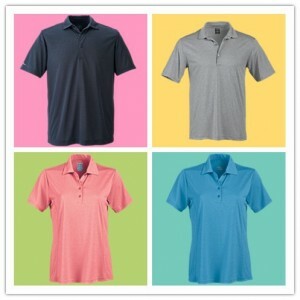 Page & Tuttle Men’s Free Swing Piped 1/4-Zip Short Sleeve Windshirt is designed to satisfy you. It is made of 100% micro-polyester peached twill with Teflon finish for ultimate stain resistance. Free Swing windshirts give you freedom of movement by eliminating pulling, bunching and ride-up. 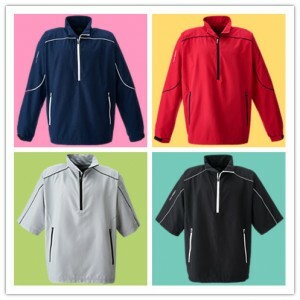 Unlined, stand-up collar, hemmed half sleeve,quarter-zip placket with inside storm flap and zipper garage are the features. Contrast piping detail on body and sleeves are so charming and eye-catching. Zippered waist pockets is so convenient. Page & Tuttle Men’s Free Swing Piped 1/4-Zip Windshirt is also a made of micro-polyester peached twill with Teflon finish. Go after everything you want with this. Free Swing windshirts give you freedom of movement. Eliminating pulling, bunching and ride-up are the features. Unlined, stand-up collar, quarter-zip placket with inside storm flap and zipper garage are elements you will also be fond of. There are five colors to choose,so it is very appropriate for you to keep one. Stay cool and fashionable literally! You will need the full-zip windshirts. Page & Tuttle Women’s Piped Full-Zip Windshirt is made of 100% micro-polyester peached twill with Teflon finish for ultimate stain resistance. Free Swing windshirts give you freedom of movement by eliminating pulling, bunching and ride-up. Unlined, stand-up collar is the element you will like. The features are full-zip front placket with storm flap, contrast piping detail on body and sleeves, zippered waist pockets. Page & Tuttle Men’s Piped Full-Zip Long Sleeve Windshirt is another option for men. It is 3.98 oz, and made of 100% micro-polyester peached twill with Teflon finish for ultimate stain resistance. Free Swing windshirts give you freedom of movement by eliminating pulling, bunching and ride-up. 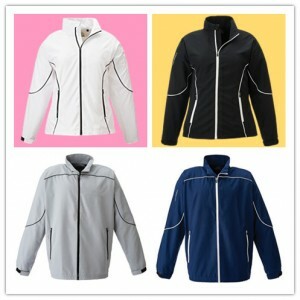 Unlined, stand-up collar, full-zip placket with inside storm flap are the features. Contrast piping detail on body and sleeves, zippered waist pockets are the charming elements. The stain-release, water-resistant, and machine wash and dry make it very pleasing to the eye,durable,soft. You can choose among the three colors. Previous PostMemorial Day Weekend Sale Starts…NOW!